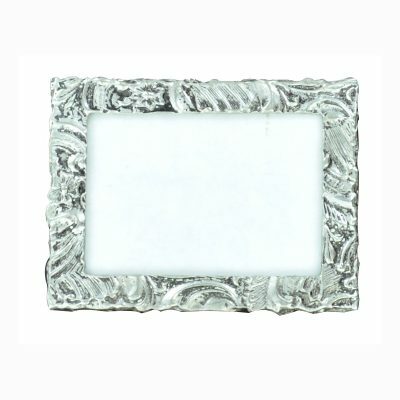 View cart “Fancy Pewter Picture frame 2 3/8 X 3 ½” has been added to your cart. 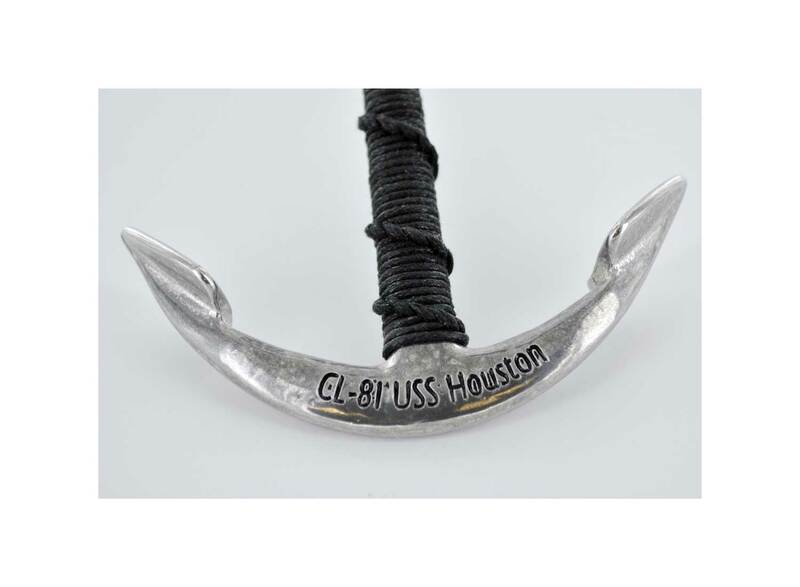 Anchor, custom engraved with fancy work. Beautiful hand made Keepsake for sailors of any kind. Military, Merchant, civilian we know who we are. It’s about the love of the water. 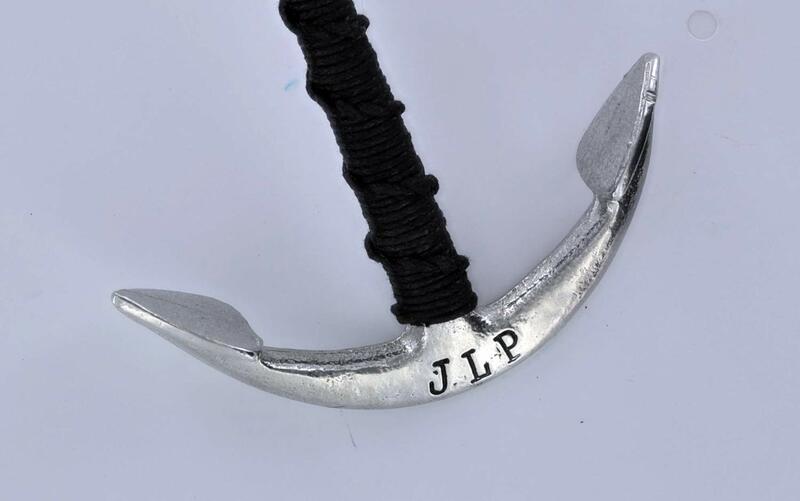 Your ship, service , Loved one’s name ( your ship) engraved On one side. Is it service or any anything you want in Grabill the other. 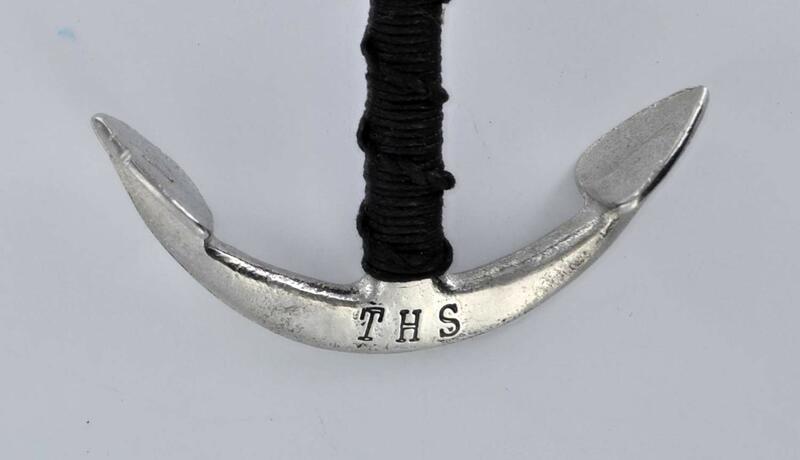 On this handsome pewter anchor. The shank being fancy worked in waxed black line. Comes with a stock to hold it up and show it off. So send somebody off to go find the anchor scales. 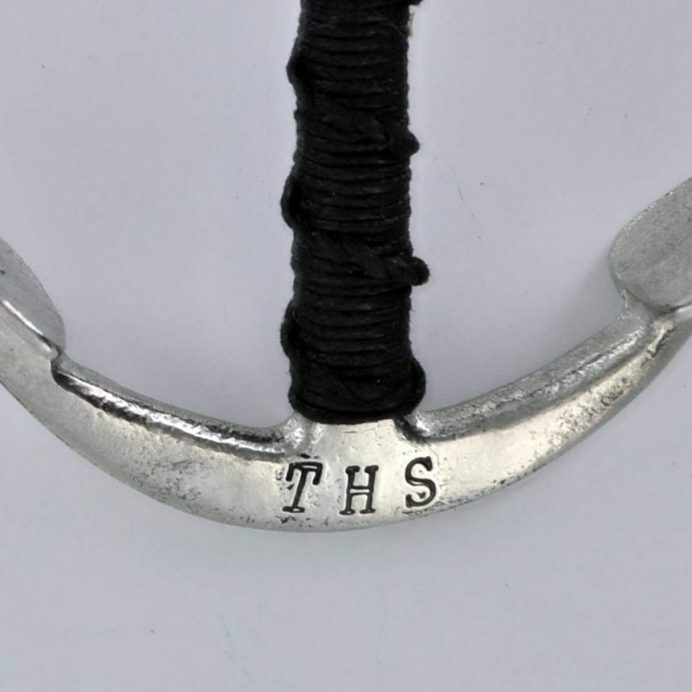 Beautiful hand made Keepsake for sailors, Military Merchant, and civilian. We know who we are! It’s about the love of the water. Made in Florida to order. It is a heavy piece at a ¼ pound of Britianna lead-free pewter. 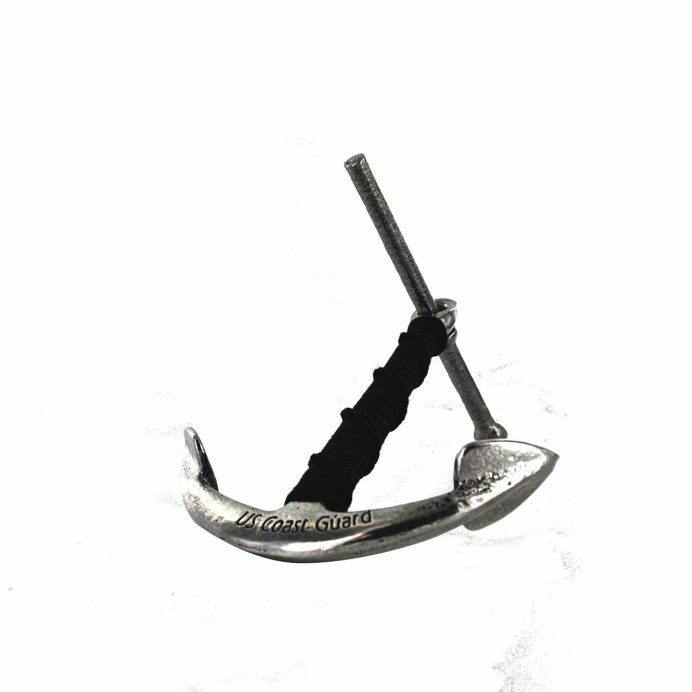 The shank has fancy worked in a waxed black cord that contrasts against the bright pewter. Comes with a stock to hold it up and show it off. 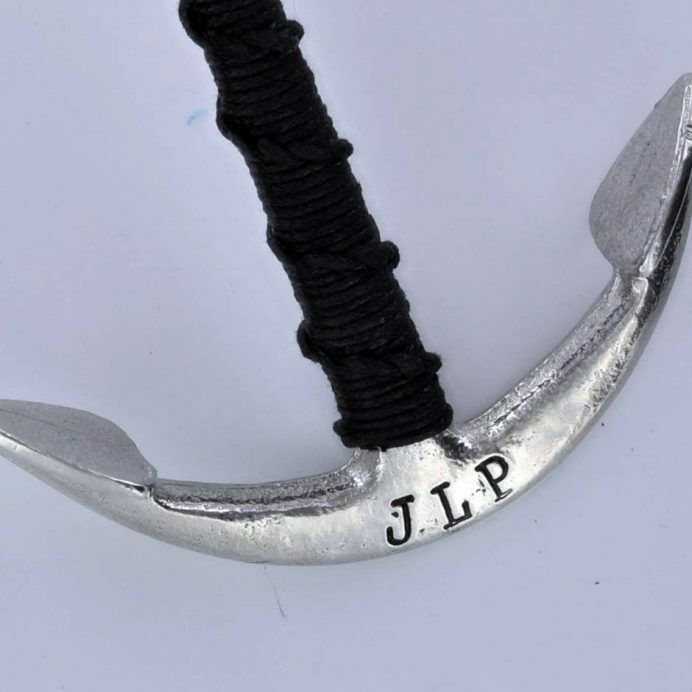 Your ship, service, loved one’s name can be engraved on this handsome pewter anchor. 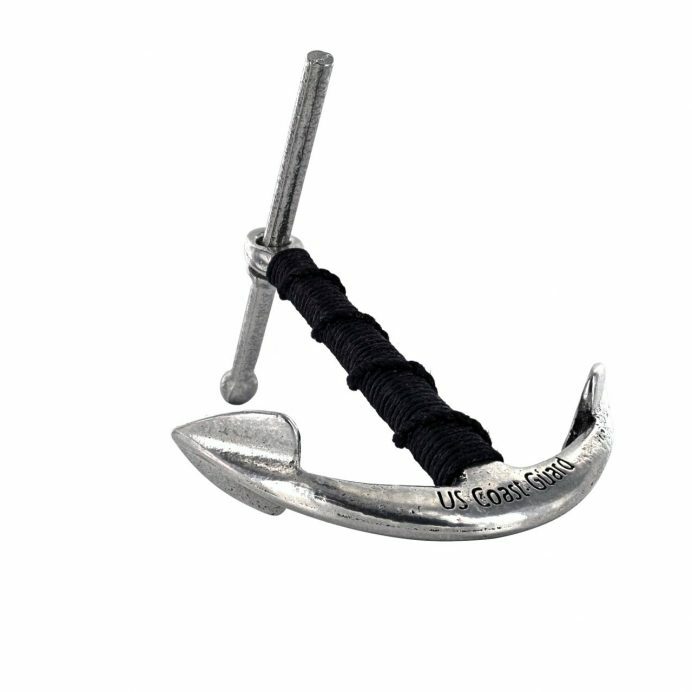 US Coast Guard, NAVY and USMC commemorative Handmade anchor. The anchor is 6 inches tall and 5 inches wide, with hand-wrap fancy work around the shaft, made out of 3 ounces of fine Britania pewter. 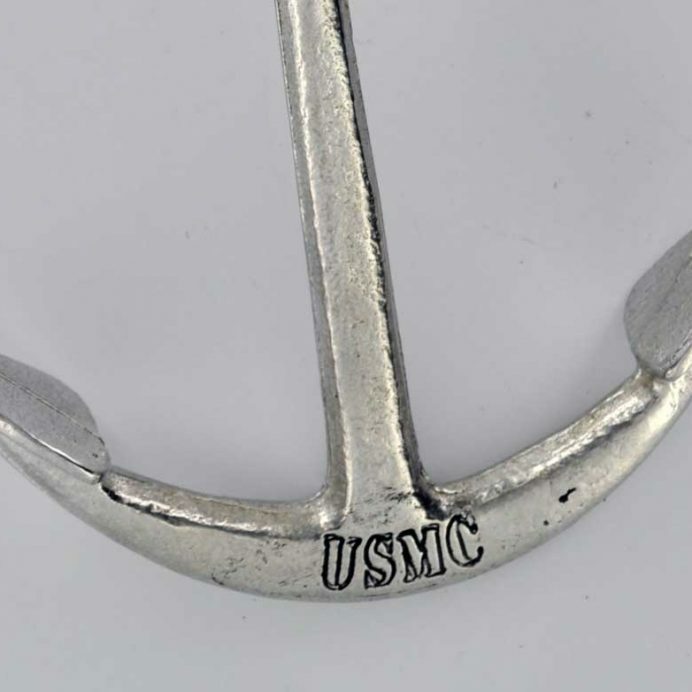 Engraved with your service and ship’s name. 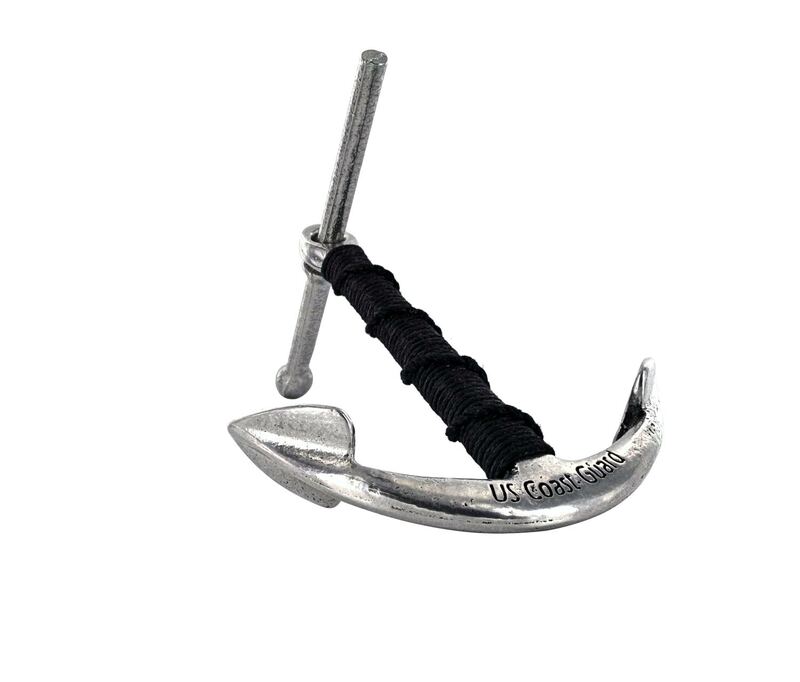 This makes a wonderful present for any veteran in seagoing service. 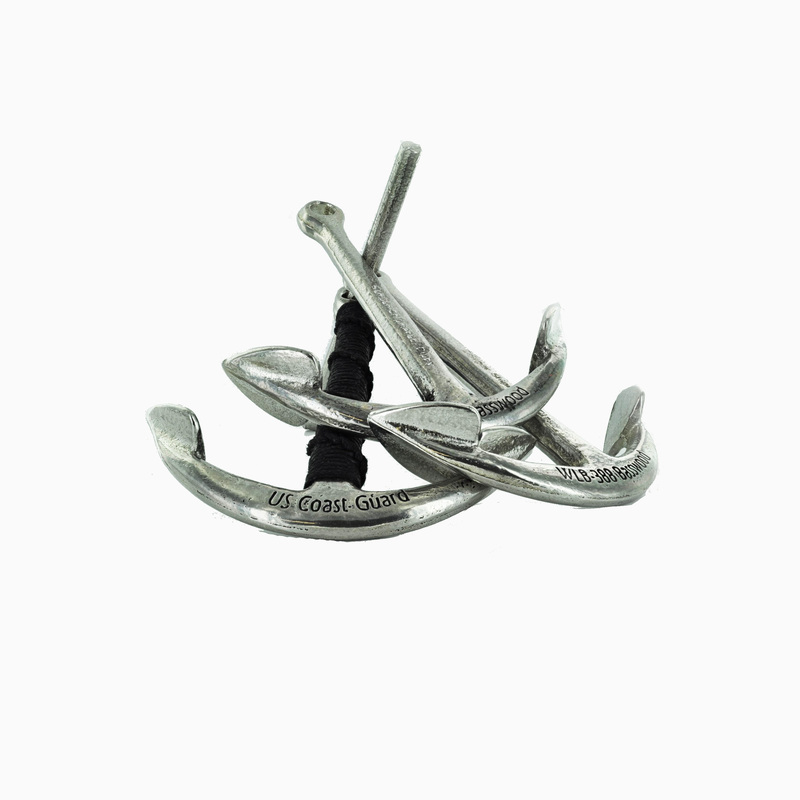 Great for yachting racing awards, sailing or regatta races or boat warming present or even a door knocker. 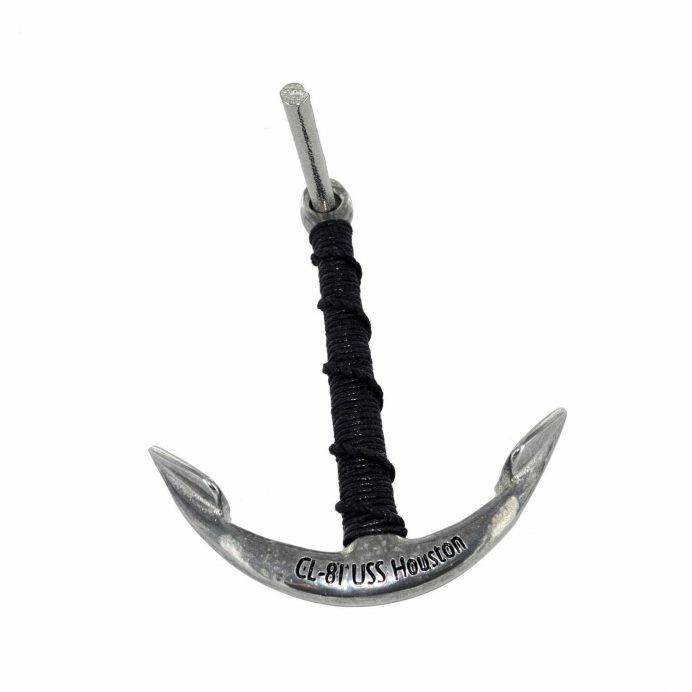 I initially made this anchor for myself and my Coast Guard shipmates, but friends have seen them and wanted them too. 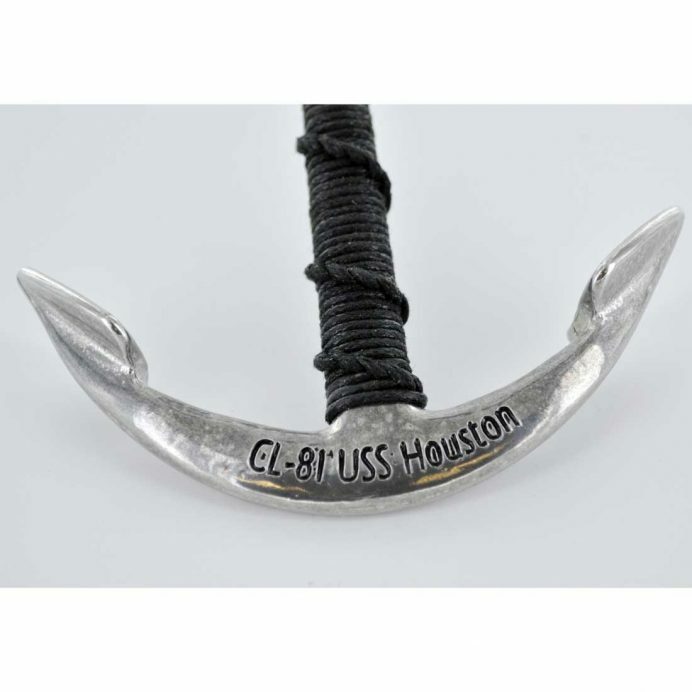 You will see the USS Houston, that was my father’s ship in WWII. Look it up they had quite a summer in 1943. 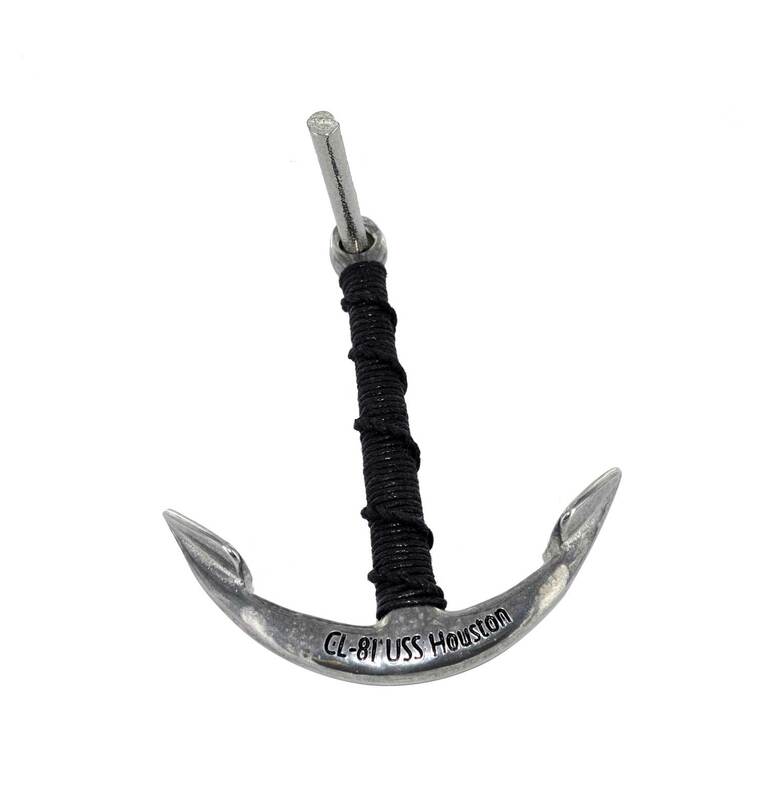 I customized the anchors and can do about 15 characters on each side. 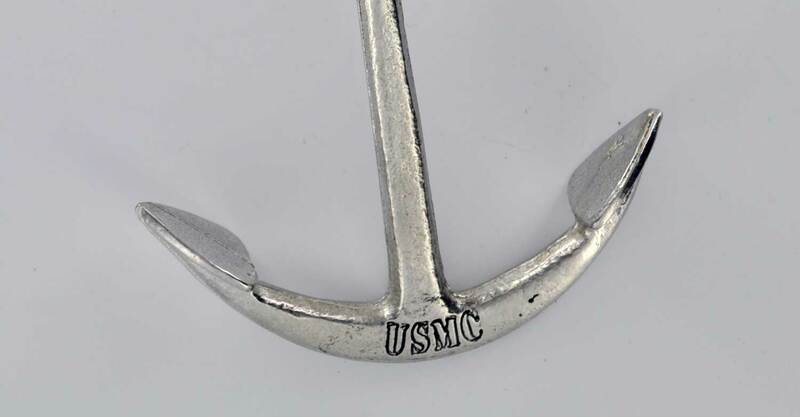 Service branch and ships’ name was the first thought. As you see there are people the just like anchors. I think they would make great boating awards. I can engrave up to 15 characters on each side. They are weighty and fit good in your hand. You will not find this anyplace else at this time. 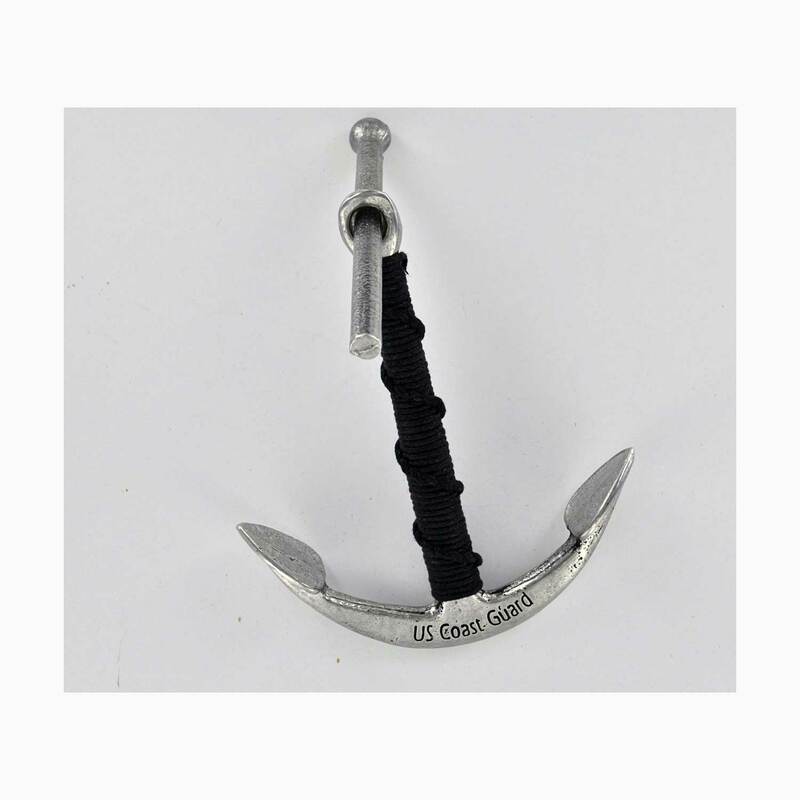 We made the anchor and the mold. We cast them and finish them by hand all at my shop in Crawfordville FL. 100% made in the USA. Veteran owned. Certified not to be a POS. There are two basic classes of medallions. The first is made like those shown above. A picture of the subject is rendered into relief by the sculptor’s art. The second type, as on the left, is a straight photo-etched product. 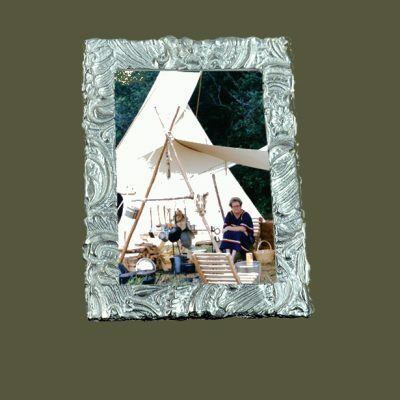 It avoids the cost of sculpting and often is suitable for a small rendezvous or when cost is a factor. Cost: There is one unavoidable cost. This is the $200 for the mold. It is for the MOLD ONLY. Other costs also apply. 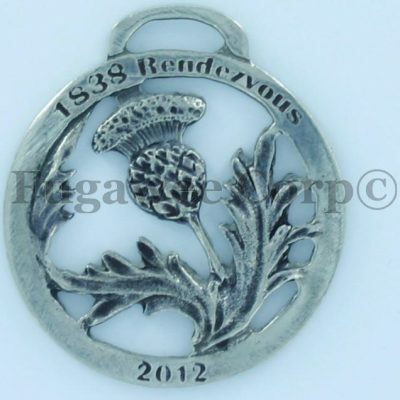 The mold charge must be divided between all the medallions. Thus, the two hundred dollar mold cost would come to a two dollars apiece if you ordered a hundred medallions. However, for an order of a thousand medallions, the MOLD-MAKING cost per medallion would only be a dime. The same sort of cost division applies to sculpture work. The cost per unit is reduced on larger orders because the bench and mold costs are divided by a higher number. The cost of casting and finishing must be added on an individual basis. The cost of heat and labor is more or less constant. Metal prices vary with the cost of tin which makes up about 90% of our alloy. Sculpting can be as low as $50 total for an order to about $250 total for the order. 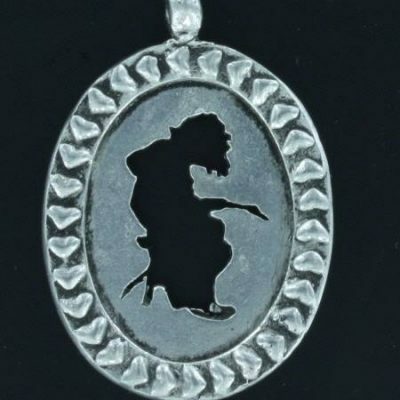 Thus, a well-sculpted medallion will cost $150 to $300 for the mold and bench time. You must divide this into the number of medallions in the order. Let’s say that your order is for 500 medallions. The art work and mold together will cost $350 divided by 500 units or $.70 per unit. This is not the total cost. You must also figure in the cost of metal and casting. If the order was only 250 medallions instead of 500, medallions, the mold and bench time per unit would double to $1.40 per unit while the cost of casting and finishing per unit would remain the same. 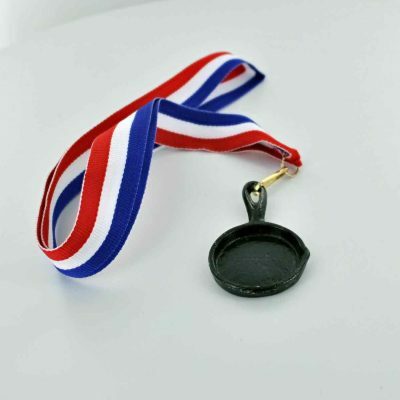 Most people ordering medallions are first-timers. 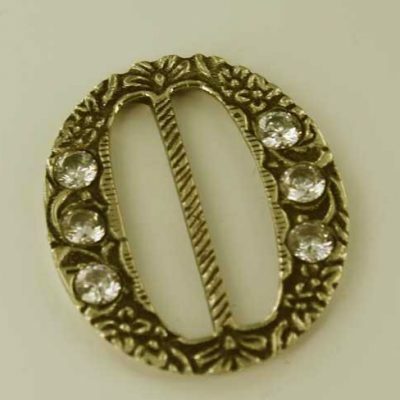 We realize this and will work with you to turn out a medallion you can be proud of. 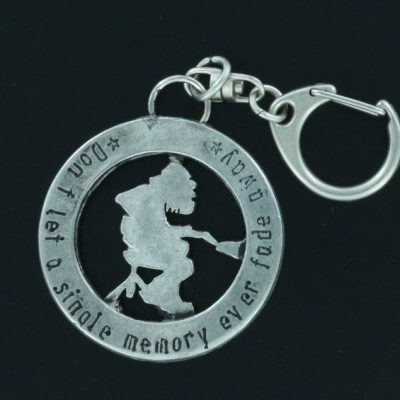 Manufactured in the USA out of Britiania pewter. 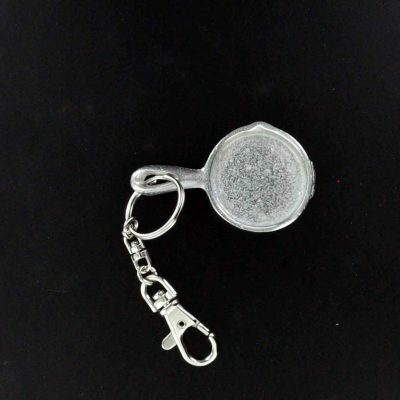 2 inches in silver or black. Great for awards, cooking, baking contests, competitions, kitchen, doll house. Keychain fits on ribbon awards.